ORMISTON Park Academy in Aveley is working with the West Ham United Foundation to encourage more young girls to get involved in sporting activities. The school, which is sponsored by Ormiston Academies Trust (OAT), has already been in partnership with the Foundation for three years as a ‘Community Hub School’ and previously hosted an event in December for Year 8 girls, highlighting the importance of positive female role models. The school is now also focusing on raising aspirations for girls across all year groups with a series of targeted sessions and workshops, delivered by a Community Hub Officer who has been based at the school since September 2018. These sessions are themed around role models and aim to inspire female pupils about career options whilst exploring issues including social media, jobs in sport and body positivity. Female pupils have also been encouraged to get more involved in Physical Education, leading to even more girls taking part in the after-school netball team and a brand-new female football team. A female-specific extracurricular club is now being held at the school every single day. 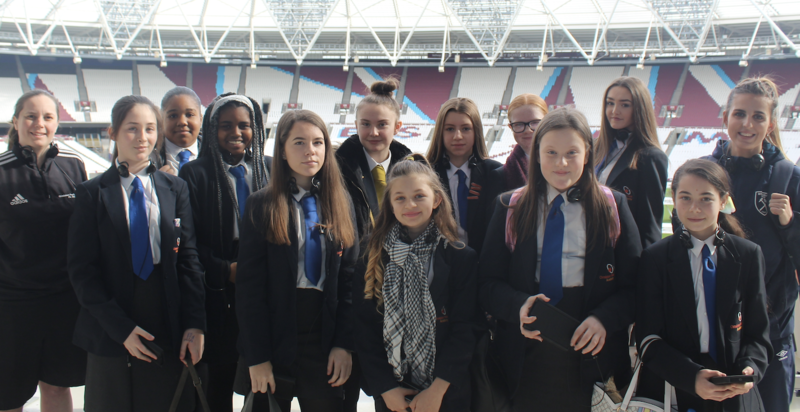 To mark International Women’s Day on Friday 8 March, nine girls from Ormiston Park visited the London Stadium, the home of West Ham United. The pupils enjoyed a tour around the stadium and spoke to female members of staff from Safeguarding, Marketing, Sales and Hospitality. Whilst exploring career development, the pupils received the ideal opportunity to learn about the behind-the-scenes roles that keep a football club running and consider the range of career options in sport. Ormiston Park Academy now plan to continue working with the West Ham United Foundation throughout the rest of the academic year to develop the partnership. 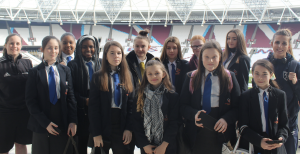 “After the success of our work with the West Ham United Foundation over the past three years, we are delighted to see our partnership progress with a host of new opportunities to get girls at Ormiston Park Academy engaged in sport.